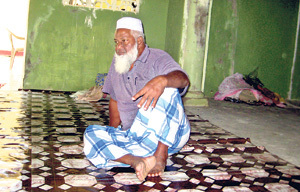 Fifty-six-year-old Mohamed Basheer’s eyes still well up with tears when he recollects the day in 1990 when the LTTE issued an eviction order on all Muslims living in the Jaffna peninsula, giving them a few hours to quit a city that had been their home for as many generations as he could recollect. With his wife and six young children, they left with all they could take with them, leaving behind their hometown to live for nearly 20 years as “outsiders” going from place to place but never finding a place to call home. But today Basheer is a happy man. He has returned to Moor Street in the Jaffna town and vows never to leave it again. “The day we left, we were stripped of all our valuables. Some little girls had their earrings torn out from their ears as they left. 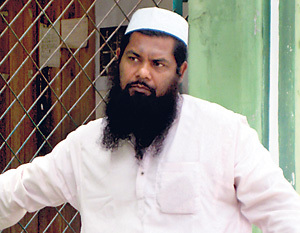 But now I am back and I will never leave this city,” said Basheer as he sat on the floor of the mosque which he and two others are slowly reconstructing as the thousands of Muslims who fled Jaffna come back to their former homes with normalcy returning after nearly three decades of bitter fighting. 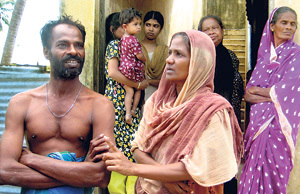 Several Muslims returned to Jaffna after the re-capture of the town by government troops in 1995 and S.M. Fiaz is among them. He left his family at the welfare centre for displaced Muslims in Puttalam and moved back as he felt someone needed to look after the mosque. “I am glad that things are returning to normal now and more and more people are coming back. We are preparing the mosque for their arrival,” Fiaz said. Life is still hard for most of the families who had returned to Jaffna more than seven years ago and who are now housed in the remnants of the Kadija Girls’ School. 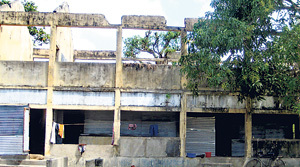 The school has been compartmentalised and made into makeshift homes. Khair Unnisar lives with her family in one of the small blocked out sections and wants more government action to assist them as well as those who will be returning soon. “The government must assist us to build our old homes,” said Unnisar who works at a local NGO. They have been well received by their Tamil brethren with relations between the two communities not constrained by the bitter experiences of the past. “We always felt like “outsiders” even in predominantly Muslim areas in the country. But now, with God’s blessings we are back in our old homes,” Basheer said, content that he is back to his roots and eagerly awaiting the arrival of his family members. A new Moulavi Mohamed Irshad arrived at the mosque recently from Matale and he will lead the prayers at the Moor Street Mosque. Now instead of the sound of gunfire and explosions, it is the call to prayers to the faithful that is once again filling the air in the Muslim enclaves of Jaffna. Walking the talk on constitutions!